Benny Gantz conceded election defeat to Israel Prime Minister Benjamin Netanyahu. 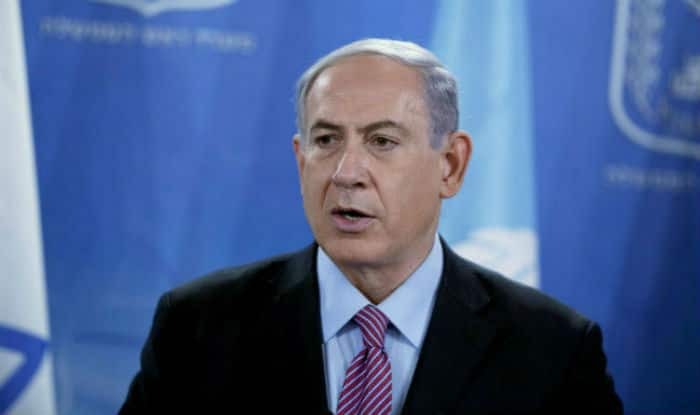 Jerusalem: Israeli Prime Minister Benjamin Netanyahu was set to secure a record fifth term in office on Wednesday after more than 95 per cent of the votes gave the right-wing bloc a lead over the left in the general election, the media reported. Palestinian officials in Ramallah said they were not surprised by the results of the general election in Israel and expressed concern over the rise of Netanyahu’s right-wing bloc. The figures come as the 69-year-old Prime Minister faces corruption allegations. The hearing is expected to take place in July and the decision on the final indictment will come some six months later. However, the election result means Netanyahu could become Israel’s longest-serving Premier, overtaking Israel’s founding father David Ben-Gurion. The final results were expected by Friday. The Arab parties lost three seats in the Knesset because of their differences and failure to run in a joint list, political analysts and activists in the Arab sector were cited as saying by the Jerusalem Post. Only half of the Arab voters cast their ballots in the election despite appeals by the leaders of the Arab parties. Exit polls had predicted a closely-contested race with no clear winner, prompting both Netanyahu and Gantz to claim victory on Tuesday night. “It is a night of colossal victory,” Netanyahu said, thanking his supporters, the members of his party and his wife, Sarah, who he kissed before and after the speech and who never left his side. “It will be a right-wing government, but I will be Prime Minister for all. I’m very touched that the people of Israel gave me their vote of confidence for the fifth time and an even bigger vote of confidence than previous elections. Gantz, 59, had also claimed victory, citing preliminary exit polls which showed his party had won more seats than Likud.